An anemometer measures wind speed. Indoors, an anemometer measures air speed, air velocity or air flow. The air flow rate in buildings is often measured in cubic feet per minute (CFM) using anemometers to assess the performance of heating, ventilation and air conditioning (HVAC) systems and equipment. PCE Instruments (PCE) offers a variety of anemometer products to meet the air flow and wind speed measurement needs of professionals in industries such as HVAC, construction, marine and wind power and energy, including hot-wire anemometers, thermo anemometers, pitot tube anemometers, cup anemometers, rotating vane anemometers and impeller anemometers with capture hoods. Plus, hobbyists such as boating, sailing and water sports enthusiasts utilize PCE's accurate and affordable digital handheld anemometer and portable mini anemometer product offerings to evaluate outdoor wind conditions. For meteorological measurements, please see PCE's weather station products.. In addition to wind or air velocity, multi-functional anemometers measure additional parameters such as temperature and humidity. Depending on the model, anemometers also can possess data logging or data recording functionality to take measurements long term or over a certain period of time. Data-logging anemometers often feature an internal or SD card memory, USB port and optional software for detailed analysis via computer. PCE-VA 11 is a vane anemometer used to measure air speed, air flow, air temperature and infrared (IR) temperature. This multi-functional portable handheld vane anemometer offers a quick response time, allowing for real-time measurement. 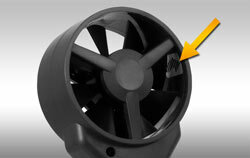 In addition, the impeller features a thread for mounting in one location for fixed measurement. The Vane Anemometer PCE-VA 11 is a useful and versatile device for measuring air speeds, air temperature and infrared temperature. Thanks to the fast response time of the device, real-time measurement is possible without problems. The large display provides an accurate overview of the measured values. PCE-WSAC 50-710 is an anemometer that displays the current wind speed as well as the average wind speed of the last 2 and 5 minutes. This anemometer allows measurement of the slightest of wind movements. PCE-WSAC 50-710 is used for a variety of wind monitoring applications in industries such as construction, mining, renewable energy and manufacturing. The PCE-423 is a high resolution hot-wire anemometer to measure air velocity and temperature in varied situations. The hot-wire anemometer belongs in the basic toolkit for professionals working with ventilation systems, as well as being useful in institutional research and development. Besides the present wind speed, the Anemometer PCE-WSAC 50-711 shows the average wind speed of the previous 2 minutes and 5 minutes. This anemometer is very sensitive allowing recording of low wind speeds. The PCE-WSAC 50-711 can be utilised in many wind recording applications across all industry sectors, e.g. building, quarrying, green energy and assembly lines. The pitot pipe anemometer is a reliable differential pressure gauge for pressure measurement of air in the range of ±20 kPa. The Anemometer can be used in combination with various pitot pipes what makes the instrument very useful in air flow measurements of industrial plants. The PCE-WSAC 50-720 is a handy anemometer for showing the actual wind speed and the average wind speed of the prior 120 and 300 seconds. The measuring of minimal wind motion can be easily achieved by this accurate device. There are many outdoor areas of industry, e.g. excavation, wind farms, forestry, in which the PCE-WSAC 50-720 anemometer can be usefully deployed. The anemometer PCE-WSAC 50W 230 is primarily used to measure and monitor the wind load on cranes or wind turbines. Furthermore, the wind situation can be measured and analyzed before commissioning a wind turbine. The high measuring range of up to 50 m/s of the anemometer means stormy gusts can also be monitored. The anemometer PCE-WSAC 50W 230-ICA is useful for measuring the wind speed to help determine the preferred site for a wind turbine installation. The device also monitors the wind load on existing wind farms, as well as on cranes for safey purposes. Due to the integrated 4 ... 20-mA analogue output of the anemometer, the measured data can also be transferred to other controllers for evaluation. The multifunction anemometer PCE-THA 10 is easy to operate with one hand thanks to its compact size, the new structure and integrated impeller. In addition to the wind speed, the anemometer measures the temperature, humidity, dew point, the wet bulb temperature and the air volume. Average values can be determined with the anemometer from the 20 preset points. All the test instruments come manufacturer calibrated. ISO certification can be made as an option. The multifunction anemometer PCE-THA 10 is easy to operate with one hand thanks to its compact size, the new structure and integrated impeller. In addition to the wind speed, the anemometer measures the temperature, humidity, dew point, the wet bulb temperature and the air volume. 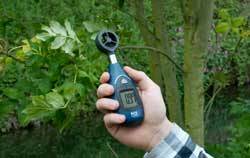 Average wind speed values can be determined with the anemometer from the 20 preset points. The prevailing wind speed and the mean wind speed (across two and five minutes) can be displayed by the PCE-WSAC 50-721 anemometer. The smallest of wind movement is detected by this convenient anemometer. The PCE-WSAC 50-721 anemometer is used for a variety of wind monitoring applications in both outdoor industry and outdoor sports. PCE-VA 20 is a multifunction anemometer for assessing wind, weather, indoor / outdoor environmental climate conditions as well as for testing heating, ventilation and air conditioning or cooling (HVAC) systems. 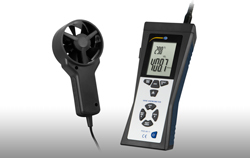 This combination anemometer-hygrometer-thermometer features a 10 cm / 3.9" Ø fan impeller, easy-to-read backlit LCD, and functions such as display hold, average value, maximum value, minimum value, battery-saving automatic power off, low-battery indicator, and metric or imperial unit selection. The PCE-VA 20 is a versatile multifunction anemometer for determining environmental conditions such as wind, temperature and humidity. It is additionally used to test heating, ventilation and air conditioning / cooling (HVAC) systems. This triple thermometer-hygrometer-anemometer device has a 10 cm / 3.9" Ø fan impeller and a clear backlit LCD. Available functions include display hold, average / maximum / minimum value, auto shutdown, low-battery warning, and metric / imperial choice. The PCE-WSAC 50-810 anemometer allows measurement of wind movements from 0 mph to 110 mph. This convenient anemometer is used to measure the current wind speed and also the average speed over 2 minutes and over 5 minutes. Many outdoor industries, for example farming and acquaculture, are in need of the wind monitoring functions of the PCE-WSAC 500-810. PCE-VA 20-SET is a multifunction anemometer with capture hoods for assessing and balancing heating, ventilation and air conditioning or cooling (HVAC) systems. This combined hygrometer-anemometer-thermometer possesses a 10 cm / 3.9" diameter fan impeller and a bright backlit LCD. The functions of the anemometer incorporate display hold, mean value, max value, min value, battery-saving auto shutdown, low-battery display, and a choice between metric and imperial units. The PCE-VA 20-SET is a multi-functional anemometer including flow hoods for assessing and balancing heating, ventilation and air conditioning or cooling (HVAC) installations. This multi-faceted anemometer-thermometer-hygrometer incorporates a 10 cm / 3.9" diam. fan impeller, easy-to-view backlit LCD, and useful functions, e.g. display hold, average val, maximum val, minimum val, auto power-off, low battery indication, and imperial/metric option. An anemometer is a device, a measuring instrument for checking wind speed [gr. Anemos]. Anemometers are available in many different designs and equipment variants. In the following text, you may find some information meant to facilitate the decision when purchasing an anemometer. PCE Instruments is also happy to develop individual measurement solutions for wind monitoring for special applications. Simply contact us. First of all, to make the right choice of anemometers, the application should be clarified. If this is unclear, just contact us and we’ll give you our assistance. When selecting an anemometer, the design and the measuring principle are primarily in focus. For exact measurements of small wind speeds, the thermal anemometers are often used. In case of a thermal anemometer, also referred to as a hot wire anemometer, an electrical resistor with a defined current and a constant voltage is heated. If a wind flows past the sensor element of the anemometer, this resistor cools down. By measuring the electrical variables of current and voltage, the resistance at a corresponding flow velocity can be calculated. In thermal anemometers, the temperature is often also measured by means of a separate sensor element. Thermal anemometers are often used to measure the draft flow or to measure flow velocities in ducts. 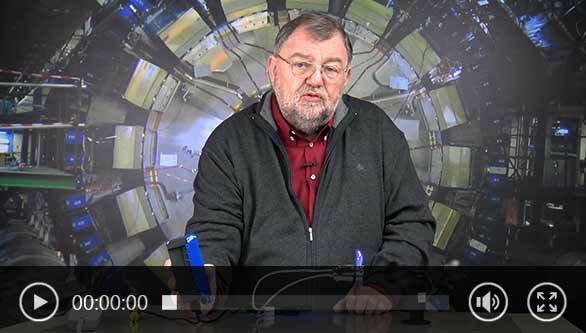 The measurement with a thermal anemometer is often a measurement for directed flows. Other anemometers used to measure directional flows are the vane anemometers. In contrast to the hot wire anemometer, this wind meter has a wheel, which is driven by the wind. Depending on the model, the actual measurement takes place then via a Hall sensor which registers the individual revolutions, or via an optical sensor, which scans a reflex mark attached to the impeller. A significant difference compared to the hot wire anemometers is that here the moving parts are needed to measure the wind. A disadvantage is that a certain wind speed is required till a measurement is carried out. This initial flow is often between approx. 0.4 m / s ... 0.6 m / s, depending on the design. Thus, it is not possible to measure very small wind speeds with vane anemometers. Another type of the moving anemometers is the cup anemometer. Anemometers of this type are used when the wind or a flow should be measured regardless of the direction. These anemometers are often applied for stationary wind measurement and wind monitoring. A special design of the anemometer is the Pitot tube anemometer. A Pitot tube anemometer calculates a flow velocity based on the difference between two pressures. Via a special Pitot tube probe, the anemometer measures the ambient pressure in a duct and the incoming pressure that affects the probe. The difference between the two pressures gives the flow rate. Pitot tube anemometers are often used at very high flow velocities. These anemometers are known from racing or aircraft construction. If the design and the measuring principle corresponding to the measurement task of the anemometer have been selected, the device with the correct display has to be found. Here, as well as for many other measuring instruments from the assortment, there are many different models. For example, there are models which merely display the flow velocity and give the user the information about the measured value. Furthermore, there are anemometers, which have interfaces, which make it possible to transmit the measured value to a PC. In addition, there are anemometers, which can be used as a multifunction device. These anemometers can, for example, additionally determine temperatures or flows in watercourses. Wind warning systems complete the assortment of anemometers. Special anemometers from the assortment of PCE Instruments are able to calculate, besides the wind velocity, also the volumetric flow in ducts. The user only has to set the duct area in the device and the anemometer displays the volume flow directly. In addition to the anemometers, which consist of the entire measuring chain, i.e. the sensor + display, there are also just sensors available in the range of the PCE Instruments products. The anemometer sensors usually have a signal output, which can be evaluated by external evaluation devices such as data loggers, alarm units, displays or PLCs. These anemometers are often used for stationary wind measurements. In accordance with the application, we would like to recommend the following anemometer types. This overview can help you find the right anemometer for the current application. Should you have any further questions regarding anemometers from PCE Instruments, you can always call the technical consulting hotline of PCE Instruments: UK: 02380 - 987 030 or US: (561) 320-9162. The colleagues will ask you specific questions about your application and suggest the best suited products for the solution of your measurement task. Should the anemometers from our standard range not be suitable for your application, we would be pleased to work out a solution for your task. For example, we are able to develop autarkic anemometers with remote access for stationary wind measurements. The anemometer (from Greek anemos = wind) is used to measure the wind speed. In standard, the wind speed is measured at a height of 10 m, because the ground speed varies from place to place significantly. Depending on the design of the anemometer, the measurement can be carried out, for example, thermally (thermo-anemometer), by wind cooling of a hot wire or mechanically (impeller anemometer) or via the pressure (Pitot tube anemometer). The latest technology uses ultrasound. These types of devices are still very expensive compared to the value added because of the better result. In many models, together with the cross-sectional area, for example, of a flow channel, the flow rate may also be indicated directly on the display. This saves the complicated conversion, since the formulas stored in the measuring devices also include the weightings for flow edge areas or core flows. When using the anemometer, please, always pay attention that you hold the probe of the measuring device (the propeller, the thermal flag or the Pitot tube) centrally in the middle of the flow and absolutely in the flow direction. Or cut off the flow cross-section (for devices with mean value formation) in the form of an ellipse to obtain the optimal results. On many of the anemometers, the directional arrows are printed. Air flow measurements are essential for many spheres of life, even including household (HVAC systems, extract grilles). Depending on the peculiarities of application (high/ mid/very low flow velocity) or location (inside pipes and ducts or outside wind), different types of anemometers may be preferable. Vane anemometer in its design reminds a small propeller and it suitable for both, measurements of the air flow inside the systems, as well as for wind speed outside. Since wind never has a very stable and monotonous flow direction, vane anemometer is adjustable to following the changing direction of the wind, in order to measure the correct speed. The vanes may be performed in different sizes and thus, be applied in very heavy-to-reach places. Vane anemometers are characterized by high sensitivity and that is why are perfect for even small speeds measurements. This makes them very suitable for kindergartens, schools or offices where, as a part of health-care system, it is required to monitor whether drafts occur. The same applies to agriculture, since sufficient and correct air conditioning in the stalls and stables is important for successful breeding. For the measurements of hot air flows, vane should be thermoresistant. An advantage of this type of anemometers is that they are resistant to contaminants which may occur in ducts and ventilation systems. Vane anemometer is a good auxiliary tool during various construction tasks and in mining. The vane itself is reliably protected and thus, damage risk during operation is low. Besides that, modern devices have integrated functions of measuring further important parameters, like air temperature, air humidity or volumetric characteristics of the air masses. Even if the measurements are carried out inside the no-access ducts or HVAC systems, the information can be collected, and due to the possibilities of the digital devices, processed and viewed on the PC in real time or later. The measurement units may be selected, depending on the application (m/s, km/h, FPM or even knots for marine aplications).